"Sampath Speaking" - the thoughts of an Insurer from Thiruvallikkeni: Insurance Contract ~ does payment by cheque concludes contract ? - interesting elephant claim !! Insurance Contract ~ does payment by cheque concludes contract ? - interesting elephant claim !! o An Official collects premium for a specified subject matter of insurance, pays it in Office – but before policy could be issued, a claim occurs, say on the 4th day – would the claim be paid ? o The premium is paid by means of a crossed cheque drawn in favour of Insurance Company, deposited with Insurers who receives it, but does not issue any document - a claim occurs, say on the 4th day – would the claim be paid ? o The primary ingredient of any contract – ‘offer and acceptance’ – will that be revisited before any consideration ? o ..and .. .. .. .. how likely such things are to be viewed in a Forum or Court of law i.e., what is the legal position. Elephant is the subject matter of this post and hence photo of a majestic tusker – certainly not Padmanabhan – the cause of action. Insurance is a contract, one of indemnity - whereby one party (the insurer,or the indemnitor) agrees to indemnify (compensate) the other (the insured, or the indemnitee) for any damages or losses (as arising out of specified perils), occurring during the currency of policy (period of Insurance), in return for consideration (premium paid). ~ that is too rudimentary !! - The parties must have provided valuable consideration. Of course, there are other considerations, such as express and implied terms, duress and undue influence. Now here is a case dealt by Kerala State Consumer Disputes Redressal Commission, Thiruvananthapuram; between an owner of an elephant and United India – the subject matter being claim arising out of death of an elephant. 1. Whether there was a concluded contract entered into between the complainant and the opposite party insuring the elephant by name Padmanabhan owned by the complainant? 2. Whether there was any deficiency of service on the part of the Insurers in causing delay in issuing the policy insuring the elephant ? 3. Whether the claim could be upheld? 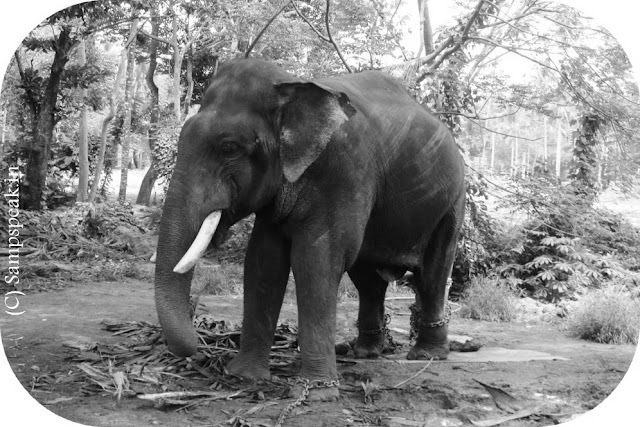 There was no dispute on primary aspect of insurable interest – that the complainant owned the elephant by name ‘Padmanabhan’ and that the said elephant died on 20-04-2003. There were documents establishing that and the fact that the complainant submitted proposal for insuring the aforesaid elephant. The proposal had been accompanied by a certificate issued by a Vet. Doctor; that a crossed cheque dated 08-04-2003 in favour of the Insurer towards premium of Rs. 29,750/- was also not denied. What was contended was ‘the cheque was not accepted by the Insurer and not presented for encashment’. As no policy was issued, the complainant could not produce any document to show that the opposite party had accepted proposal or that the Insurance Company communicated the acceptance of the proposal. Thus fundamentally, the existence of the contract itself was questioned ! The owner contended that the cheque for Rs. 29,750/- was given to the opposite party towards the first premium of the insurance policy on 08-04-2003 and the elephant died on 20.4.2003, supported by autopsy report. To the complainant, it was unreasonable delay of 12 days in processing the proposal and that delay in deciding should be held as deficiency of service. The case for Insurers was that cheque towards the first premium of the policy is to be treated as acceptance of the proposal cannot be upheld. It is a settled position that acceptance of the first premium along with the proposal for the policy would not amount to acceptance of the proposal. There must be acceptable evidence to show acceptance of the proposal. The contract will be concluded only on issuing communication regarding acceptance of the proposal or issuance of policy. But in the present case on hand, there was no such acceptance of the proposal and there was no concluded contract of insurance. Thus in all respects, there was no deficiency of service on the part of Insurers. There was a letter on 21.4.2003 by the Insurer that they were not prepared to accept the 3rd party cheque submitted towards the first premium of the policy providing reasons for non-acceptance. Admittedly, the complainant paid the first premium for the policy by way of a 3rd party cheque and Insurers were at liberty to accept 3rd party cheque or reject the same. The Insurers rejected the 3rd party cheque. The complainant contended that this letter was issued on the very next day of the death of the elephant and returning of the said cheque was made with ulterior motive. The State Forum opined that it was clear that the lower Forum was perfectly justified in dismissing the complaint and dismissed the appeal – deciding in favour of the Insurer. The parties were directed to suffer their own costs. .. you are entitled to your opinion and now tell me – whether you would concur .. [offer and acceptance] – that contract is not binding unless there is acceptance. Interesting and there are learnings everywhere !